This course provides an ideal, quick-start tutorial for anyone interested in developing Android mobile device applications, from the student or hobbyist to the experienced programmer wanting to enter the mobile device app market. We are witnessing an explosion in the use of handheld mobile devices worldwide - smart phones, tablets, and handheld game devices. The Android operating system is a popular OS on many of these units. This course is organized in a logical, evolutionary manner starting with configuration of the development environment and ending with two comprehensive projects. The beginning chapters cover basic application components and configuration of the Android emulator and basic user interface design, whereas later chapters cover how to accomplish more involved areas such as use of GPS, graphics, networking, and databases.This course will also show you how to publish your application. 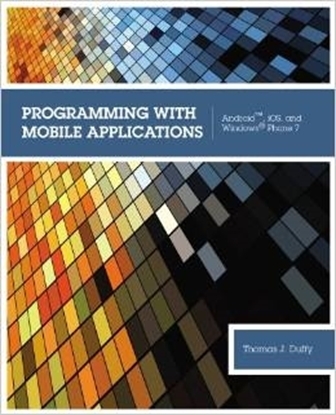 Because the Android development software provides an emulator program, the student doesn't need to own an Android mobile device to take advantage of this book. Best of all, you’ll earn an impressive Certificate of Completion in Android Apps Development suitable for framing when you're finished! This Android App Development course was designed with a convenient step-by-step learning format that will allow you to master new topics quickly and effectively. If you ever need help with your course you can call or e-mail our staff of highly trained instructors for immediate attention or you can join the chat room and ask a question. Start learning essential skills needed for a career in application design and publishing. Installation and Configuration of Your Development Platform. Starting an Android Application Project. Controls and the User Interface. Basic Graphics by Extending the View Class. Find a Location with Google Maps. Text Files, Data Tables, and XML. Special Introductory Offer: Save $20 off tuition - now only $175! Enroll with no risk. If you're not happy with the course, return it within ten days and receive a tuition refund. 10 lessons with instructor support, online exams, text book, study guide and a professional certificate of completion from CIE Bookstore. Hurry, this limited time offer will end soon! Enroll online or call (800) 321-2155 and ask for course 01- ANDRD. The demand for mobile applications is growing quickly. The smart phones are quickly changing how people use web sites and the Internet. Most computer programmers work in computer system design and related services, an industry which is expected to grow as a result of an increasing demand for new computer software. In addition, new applications will have to be developed for mobile technology that should result in job growth for computer programmers and software developers. 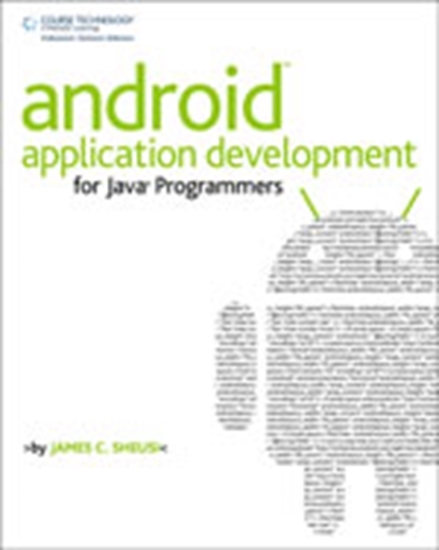 Learn how to develop Android Apps today.